Michael Bisping, just three weeks removed from losing his UFC middleweight title to Georges St. Pierre, fights Kelvin Gastelum in Shanghai on November 25—and he can thank old nemesis Anderson Silva for the opportunity. NEW YORK (AP) —Georges St. Pierre returned from a four-year layoff to choke out Michael Bisping to win the middleweight championship in the main event of UFC 217. 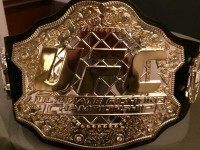 Fighting back tears on Monday, MMA journalist Ariel Helwani recounted the UFC de-credentialing and ejecting him from UFC 199 for beating the promotion to the punch on several fight announcements. Michael Bisping fought Luke Rockhold on short notice and long odds but somehow prevailed to win the UFC middleweight championship. Michael Bisping scored a signature win in front of his fellow countrymen by defeating Anderson Silva at the O2 Arena in London on Saturday. 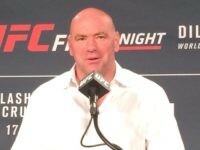 Michael Bisping vows to give Anderson Silva “zero respect once that cage door shuts.” Two months before that door shuts the mouthy Mancunian gave Silva very little respect on the conference call promoting their February 27 London bout.